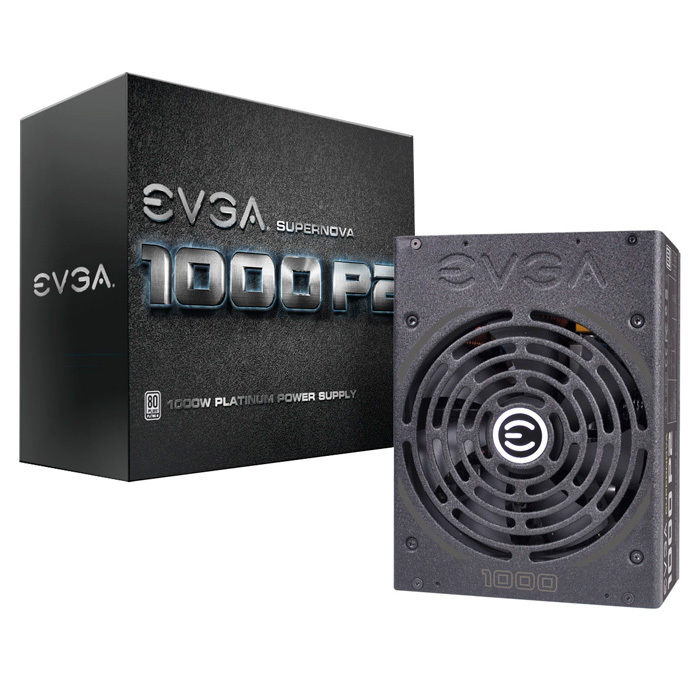 EVGA SuperNOVA 1000 P2, new high-end power supply unit. The 1000-W power supply unit from EVGA features 80 PLUS Platinum efficiency fully customizable fan behavior. The new EVGA SuperNOVA 1000 P2 is a 1000-W power supply with one rail of 12 v and 83.3 amperes designed for the most powerful, demanding computers. It’s fully modular, which means every cable can be easily extracted and modified to suit your needs. Its normal work temperature ranges between 0 to 50 ºC, and below 45 degrees its dynamic RMP deactivates the 140-mm fan, which activates the silent ECO Intelligent Thermal Control Fan system mode to work with virtually no noise from the fan. The RPM can be manually configured with the Dual Thermal Control System. Thanks to its 92% efficiency in normal operation, it sports an 80 PLUS Platinum certification. It’s protected against short circuits, high voltage and variations in the current input; it features high quality Japanese condensers. It also has 6 PCI-Express 6+2 connectors, and two 6-pin PCI-Express ones, 5 MOLEX and 10 SATA disks connectors, as well as the 24-pin and 8-pin connectors for the mother board.